Cadillac CT5 Luxury sedan to bow at New York auto show. An all-new Cadillac model called the CT5 will be revealed publicly by the General Motors luxury brand at next month’s New York auto show. The ’20 CT5, which rides on an updated version of GM’s Alpha architecture with either rear-wheel or all-wheel-drive layouts and replaces the CTS, will offer an available 3.0L twin-turbocharged gasoline V-6 and a standard 2.0L turbo 4-cyl. Both engines mate to a 10-speed automatic transmission. The automaker calls the cabin of the CT5 driver-centric, with high-tech and high-touch items combining to create an exceptional level of control tactility. 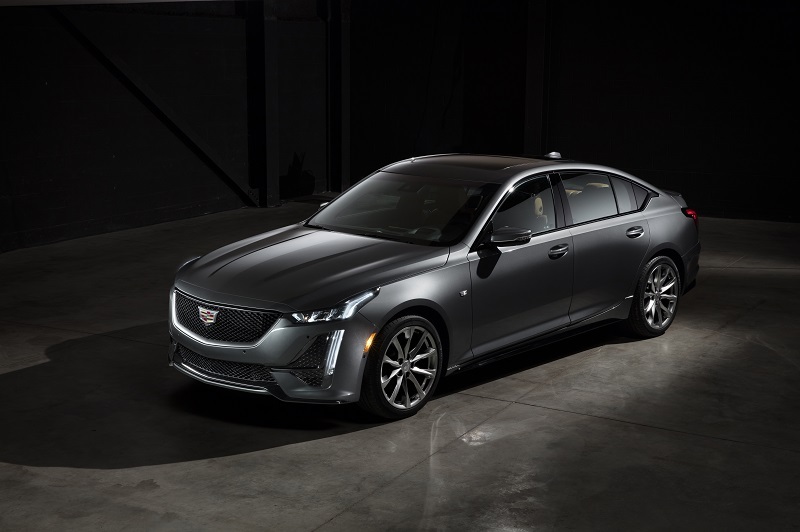 Trim levels include Luxury and Sport, with GM saying the two grades will offer customers choices of appearance and ride character. The CT5 will be built at GM’s Lansing, MI, Grand River assembly plant, which received $211 million investment to accommodate the car and comes at a time when U.S. buyers want crossovers. But Cadillac will fill out that side of its portfolio this summer with the addition of the XT6 3-row crossover, which joins the smaller XT4 and XT5. Traditional sedans also remain in demand in China and a reasonably sized segment of die-hard enthusiasts still exists in the U.S.
A new Escalade large SUV comes next year and plans also call for CT4 small car in 2020. The CT5 reportedly will reach Cadillac showrooms by the end of the year.